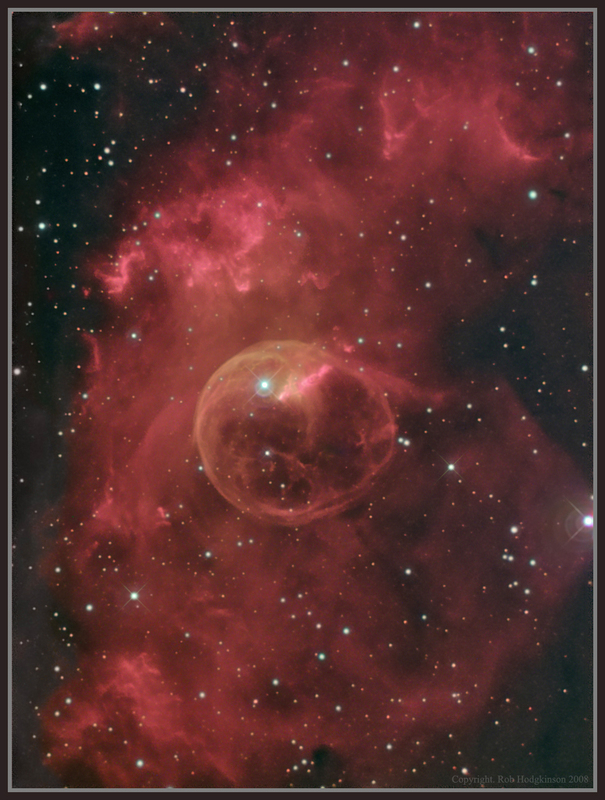 This 10 year diameter bubble is being blown out of the surrounding molecular cloud by the massive star SAO 20575 (BD+60 2522). This is what's known as a Wolf-Rayet star, a young, massive and extremely hot star that's burning its fuel rapidly and is approaching the supernova stage. It's thought to be between 10 and 40 times as massive as the sun. It's the bright star in the bubble, but isn't at the centre of the bubble due to the different densities of the surrounding material. The bubble is being produced by the solar wind from the star, estimated to be at a speed of 4 million kph. The UV radiation from the star is ionizing the gas causing it to glow at a temperature of about 10,000K, which, when you consider the size of the region, gives some idea of the tremendous energies involved. 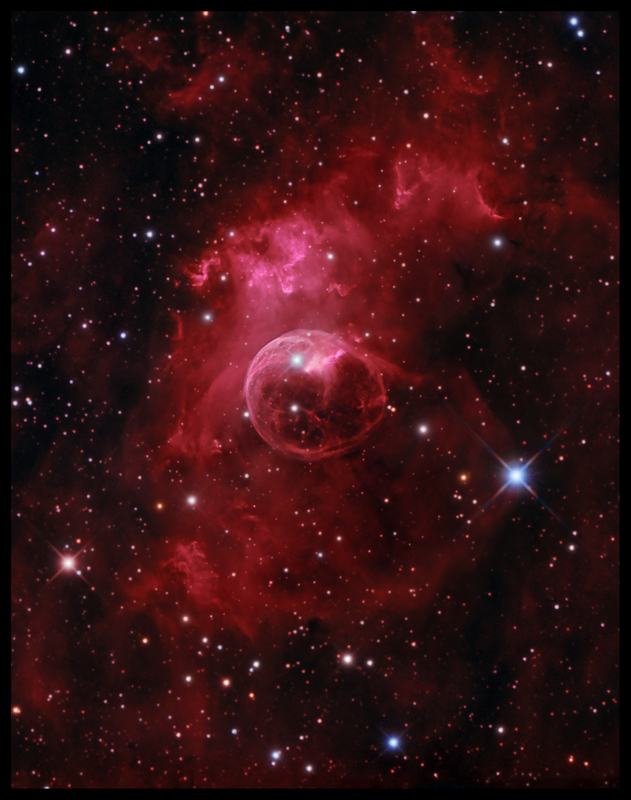 A second, larger bubble can be seen in this image, the edge of which is next to the bright blue star in the lower right. The nebula is 11,300 light years away near the constellation of Cassiopeia and was discovered in 1787 by Sir William Herschel. RGB, all 3 minutes each, 12 red, 12 green & 25 blue. Imaged in January and February 2013 from Dorset, England. Total imaging time. 5 hours.